Dr. Nagaraja chose a career in mental health while serving at Walter Reed Army Medical Center in Washington, D.C. He was drawn to the holistic approach that Psychiatry offers in treating the mind, body and spirit. 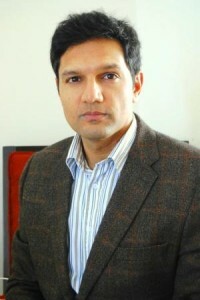 Dr. Nagaraja completed medical school at Michigan State University. He did an internship in Neurology at Walter Reed and took care of service members while on active duty. He completed his Psychiatry residency at Drexel University and the Hahnemann University Hospital in Philadelphia. Dr. Nagaraja completed a course in Medical Acupuncture through Stanford University, and is licensed to provide this service in Virginia. Dr. Nagaraja is an Assistant Professor of Psychiatry at the Virginia College of Osteopathic Medicine. He is board-certified by the American Osteopathic Board of Neurology and Psychiatry, and the American Board of Integrative Medicine. In his free time, Dr. Nagaraja enjoys reading and spending time with his family.